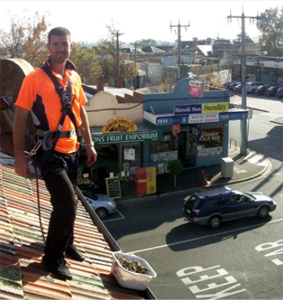 Gutter Cleaning Malvern - Jim's Gutter Cleaning offer Gutter Cleaning services in Malvern. The Jim's Group are happy to announce that thay are now specialising in double story and above gutter cleaning. Fully trained staff, with appropriate saftey equipment and insurance, cover all suburbs of Melbourne. Our service includes free roof appraisal and we can organise regular maintenance programs for your piece of mind. Experienced in in Valley's, gutters and down pipes. We are a professional crew with all the correct safety equipment, training and insurance. There is a very good reason why people know and trust the name Jim's. Trained in Safety equipment usage.